In the case of the Karen, quite a number of members of the DKBA, which had made ceasefire and even served as a puppet of the SPDC, have returned to the opposition side. The KNU is determined to continue its political line of pressure on the SPDC for meaningful dialogue and national reconciliation. It also has to continue self-defense resistance and protection of the people from human rights violations by the SPDC troops, together with the other ethnic and democratic forces. The dictatorship regards the KNU and NLD as its main enemies, the former for carrying on active resistance and the latter for carrying on non-violent resistance, resolutely. Like in Nazi Germany, the SPDC uses thuggish means to break up and weaken the NLD, while it continues military campaigns against the KNU and systematic human rights violations against the Karen people to weaken their will to resist and survive. Continued human rights violations have driven more Karen people from Burma to take refuge in the Thai-Burma border areas and into deep jungles as IDP. In a politically motivated action influenced by some German political NGOs, the EU has scaled down its humanitarian assistance for the refugees. The German NGOs have been using huge funds to pressure and persuade the ethnic forces for the political line of Appeasement, Capitulation and Collaboration with the military dictatorship for Development (ACCD line), since late 80s. The Karens as well as other ethnic nationalities are well disposed to a compromise solution of having a federal arrangement similar to that of Switzerland, the United States or Australia and not total independence as the SPDC propaganda has portrayed them. This ACCD line has made the military dictatorship to be more repressive and hard-lined. On the other hand, it has caused divisions in each ethnic as well as democratic organization and between the ethnic and democratic organizations. The followers of the ACCD line have condemned international sanctions as hurting the poor or ineffective, criticized Daw Suu and the NLD as hard-lined and irrelevant, supported the State Constitution drafted and adopted fraudulently by SPDC, welcomed and participated in the SPDC stage-managed 2010 elections, propagated the false view that the collapse of the dictatorship would bring total chaos to the country and engaged in scare mongering among the opposition forces. The dictatorship of Burma will continue to portray itself as a victim of colonial rule and injustice. It will continue to cheat, lie and cajole the international community, especially the UN, to get support for its development programs for the perpetuation of its hold on power. It will continue to pursue its nuclear bomb development program and the delivery system. Before long, there can be another North-Korea like regime, in Asia. Some advisors are of the opinion that the ethnic nationality organizations should have clear military parity with the SPDC military regime for any meaningful dialogue to take place. The war between the military regime and the ethnic forces has reached a stalemate long ago, but the regime, with ultra-nationalistic mind-set, fails to see it. Media reports indicate that the SPDC has more than 300,000 or 400,000 troops, armed with Russian and Chinese weapons. It is the regime’s propaganda to frighten the opposition forces. According to our intelligence, the SPDC army has many units but they are very much under-strength. A careful count shows that the total combat strength of the SPDC army is much less than a hundred thousand men. They are poorly trained, armed and supported. They do not get even enough food ration and medicine. The morale of SPDC troops is very low and, according to reliable information, the desertion rate is 3000 per month. Vigorous and blind recruiting drive by the SPDC to increase the number of troops has resulted in an army with 30% child soldiers. The battle field reports, covering the period from January 2010 to the end of November 2010, showed that the killed ratio between the KNLA and the SPDC army is 1:35 + while the wounded ratio is 1:93 +. The indications are that the sanctions are working and they are hitting the SPDC regime where it hurts; that is its power base. The SPDC army is not invincible. The SPDC dictatorship has been squandering foreign assistance on white- elephant projects such as the building of new capital, Naypyidaw, nuclear bomb development, buying high performance jet fighters etc. The 20 MIG-29s, 50 MI-12 helicopter gunships sold by Russia, the F-6 and F-7 jet fighter planes, tanks, heavy mortars, multiple rocket launchers sold by China and a few Scud type missiles sold by North Korea can be used mainly for strategic defense, except the helicopter gunships. We may interpret Russia’s sale of war weapons as a move to boost the prestige of its ally, India, for balancing China’s effort to gain economic and political influence over the regime. India’s nervousness of China’s growing influence is understandable and it can only aim for keeping Burma as a neutral state, a buffer between itself and China. Thailand, during the Cold War period, treated the KNU as a buffer against communist expansion. After the Cold War, depending on the party in power, Thailand sees the KNU as a hindrance to economic relations with Burma or a legitimate stakeholder for peace and a force against the mad dictatorship. The KNU sees the US policy of engagement and pressure towards the military dictatorship as a pragmatic approach, but the US should be careful not to slide into appeasement and collaboration, as a result of believing lies, deceit, trickery, cajolery, groveling and threats from the dictatorship. The dictatorship is purposely selling mega-project concessions for (mining, hydro-electrical dam, super-highway, railway, deep-sea port and gas pipe-line projects) cheaply to India, China and Thailand in order to persuade them to put pressure on the Burmese opposition forces. The KNU has placed its faith in the united struggle of the democratic and ethnic forces. It has to lead alliance organizations like the National Democratic Front (NDF), the Democratic Alliance of Burma (DAB) and the National Council of the Union of Burma (NCUB). The longstanding ethnic conflicts of Burma, since a year after the country’s independence, lay in the ultra-nationalism of the majority ethnic group, the Burman. The Burman had had three empires. The first two covered the middle plain and part of the lower plain of the country. The third and last one covered the middle and almost all of the lower plains of the country. The Burman were made more proud of their past empires and glory by the British overthrow of the Burman monarchy. The last dynastic king, Aung Zeya, through subterfuge, subdued the rival Mon Kingdom in the lower part of Burma and literally committed genocide against the Mon people. He even massacred 3000 Mon Buddhist monks, who were guardians of the Mon literature and culture. Thus, the Mon people have become a small minority today and most of their literature and culture had been lost. The Burman did not see it necessary to eliminate the Karen people living in rural areas of the plains and in the hills of the lower part of the country, as they were not likely to become a rival. The Burman kept the Karens mainly as a pool of forced labor for working on the lands. They kept the Karens backward by not trying to convert them to Buddhism. The British annexed Burma, a military empire with a very backward form of feudalism, in 1885. Soon they added adjoining areas with different peoples, cultures and traditions to their new possession. No wonder, the British Burma was a paradise for anthropologists for years and it had remained a country instead of a nation up to the time of independence. Perhaps, it is still a country. The total population of Burma today is estimated to be 57 million. A total of the non-Burman ethnic population together is estimated to be 25 million, forming more than 43% of the population. However, they own about 60% of the rather hilly but mineral rich land of the country.The Karen people made quick progress under the British, as they were freed from the oppressive rule of feudalism. The other factor in the quick progress of Karen people was the work of the American Baptist missionaries, who invented the written Karen language, converted large number to Karens to Christianity and introduced modern education to them. The Burman ultra-nationalists interpreted quick progress made by the Karens as a result of special favor given to them by the hated British. In early 1942, the Burma Independence Army (BIA) marched into Burma from Thailand with the Japanese Imperial Army. Before long, some BIA units started to commit atrocities against the Karens in the Irrawaddy Delta and Papun areas. The incident was unknown to head of the BIA, Gen. Aung San, who was away in the far north with the Japanese vanguard, at the time of the incident. When he learned about the incident on his return, Aung San invited the Karen leaders, apologized for the incident and started Karen-Burman friendship movement. After WWII, Aung San led Burma’s independence movement and managed to conclude an agreement, known as the Panglong Agreement, with leaders of the Karenni, Shan and Kachin peoples. According to the agreement, the ethnic leaders agreed to obtain independence at the same time as the Burman and live together in a Union. Aung San agreed to the demand of the ethnic leaders to secede after a 10-year period, if the union turned out to be unsatisfactory. Burma declared independence on January 4, 1948. Aung San and his entire cabinet were assassinated 5 months before independence and the political power passed into the hands of Burman leaders, who were more bent on keeping Burma as a unitary and Burman dominated state. Gen Ne Win, second in command of the Burman Army, used his pocket army troops to attack the Karens in Tavoy-Mergui district, the Karen quarters in Rangoon City and Insein town, in late 1948 and early 1949. When the Karen quarters in Insein came under attack, where the KNU headquarters was located, the Karen had no choice but to take up arms in self-defense. In essence, the Karen resistance led by the KNU up to this day, is a self-defense action. Ne Win seized power and expanded the civil war. He assumed himself the builder of the Fourth Burman Empire and managed to get financial and military assistance from the Western Camp, during the Cold War, to wipe out communist and ethnic insurgency. He died without realizing his dream. He became one of the most hated Burman generals even among the Burman population. 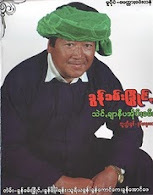 Senior Gen. Than Shwe, who is head of the military dictatorship today, has a yearning like that of Ne Win. With the help of astrologers, he has come to believe that he is a reincarnation of a dynastic king of the feudal days. However, his craving for wealth and power surpassed that of his mentor, Ne Win. The dictatorship made ceasefire agreements with a number of ethnic armed organizations not long after the nationwide pro-democracy uprising in 1988 and in the first half of 1990s. The KNU had talks with the regime in power in 1996 and again in 2004. On both occasions, the regime demanded the KNU to enter the legal fold (surrender) and refused to have any political dialogue. As a result, the KNU reached only a gentleman ceasefire agreement in 2004-2005, for a brief period. In 2009, Gen. Thein Sein, in his capacity as Prime Minister of the SPDC, made an overture for talks with the KNU. However, when the KNU replied with the suggestion of holding talks in a neutral venue, there was no response. In the KNU view, the regime made ceasefire agreements, with the ethnic nationality organizations individually, not to make peace, but to divide them and to get the time for crushing the democratic movement inside the country. At the same time, it depleted the loot-able natural resources such as timber and minerals in the ethnic areas, looked for financial and arm support from Russia and China. SPDC = State Peace and Development Council (military dictatorship of Burma); KIO = Kachin Independence Army; NMSP = New Mon State Party; UWSP = United Wa State Party; SSPP = Shan State Progress Party; MNDDP = Myanmar National Democratic and Development Party; KNU = Karen National Union; KNPP = Karenni National Progressive Party; ALP = Arakan Liberation Party; CNF = Chin National Front; DKBA = Democratic Karen Buddhist Army; IDP Internally Displaced Persons; EU = European Union; NLD = National League for Democracy; UN = United Nations; US = United States.